Earlier this year we asked Quaker meetings across the country to mark our 150th year with a donation of £150. This support would raise £22,500 to help us to listen and work with people living on the lowest incomes in the UK. They include the 1 in 5 parents who will skip a meal to afford their children’s food this summer. The response from across the country has been incredible. We want to say a big thank you to Friends from every meeting that has given online, posted cheques and run fundraising events. As we look ahead, we need your help to ensure no one who needs our help is turned away. Can you help us to reach our total? 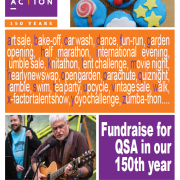 Some pictures of Quaker Social Action's 150 years, formerly the Bedford Institute. 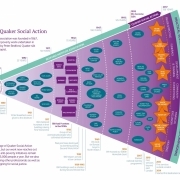 In 1867 the Bedford Institute Association was born, transforming into Quaker Social Action in 1998.